Greetings from Jeffry D. Lohr. That’s right, its Jeffry without the second “e”. The “D” stands for David so you’ve likely gathered I’m the founder of JD Lohr Woodworking Inc and the JD Lohr School of Woodworking. Since 1972, I’ve spent over four decades in the woodworking and custom furniture trade with close to three of those decades spent as a fully self employed furniture maker / designer craftsman. If you are interested to gain insight into my background and lifelong body of work, you are encouraged to review the history section found in our web site’s about pages. I believe reviewing how the business of J.D.Lohr Woodworking Inc was built will give you the best understanding of the type of training you will get by enrolling with us whether you are a beginner or a significantly advanced woodworker. Although the historical background of our workshop as a business is revealing, what is most important in attempting to learn anything is to find the right teacher. Independent of subject matter, the best teachers are gifted. We have all had them - people who convey content to students in an interesting, engaging, and ordered methodology that is easily understood, retained, and fun. And we all recognize the power of an exceptional teacher to inspire, entertain, and excite students. To that end, I teach a certain way and I demand that our staff follow the same techniques I employ. This specialized teaching experience was gained by graduating with special honors in Industrial Arts Education from Millersville State College in the early 1970’s and was followed by 14 years of in the trenches work as a public high school woodshop teacher. This later public education experience is where my teaching techniques were honed and resulted in my selection as Norristown Area School District Teacher of the Year in 1986 (from a field of 475 teachers). 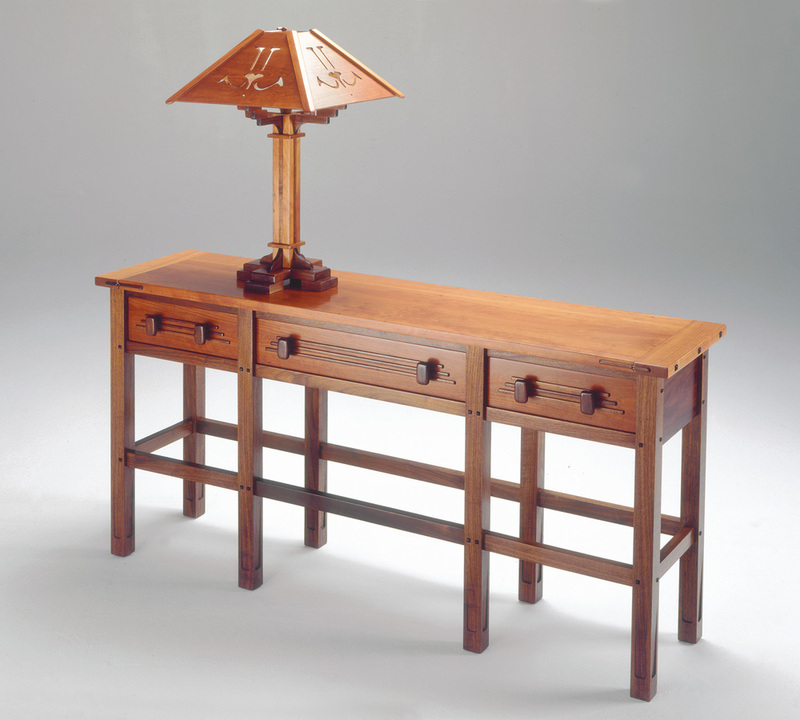 Since establishing J.D.Lohr Woodworking Inc in 1985, I’ve produced original, one-of-a-kind and limited edition Arts & Crafts style furniture, and significant contemporary free form and Live Edge furniture. Additionally, I have also performed conservator quality restorations on priceless antiques and also taking on all the woodworking needs for show quality restorations of pioneer age classic automobiles. Many people do not realize that automobiles prior to 1925 contained as much wood as metal, and so the woodwork was state of the art for it’s time in such early cars. I am hopeful after reviewing my own personal history, exploring our program offerings, checking out our facilities, and reviewing the facts about our other staff members you are confident you’ve come to the right place to take your skills to the next level. And that includes all levels of skill. Be confident that although each of our courses are team taught, I’ll play the major role in the course you take with us. My hands touch every piece of furniture that comes out of the Lohr workshop, and it is no different with the school. The school reflects the talent and skill that built my business and reputation - and that came from me. And as students, you also get me. Enjoy the random samplings of a small portion of my portfolio in the slide show below.